‘Sketch 60 is proving to be very important to how I work in my current designs. 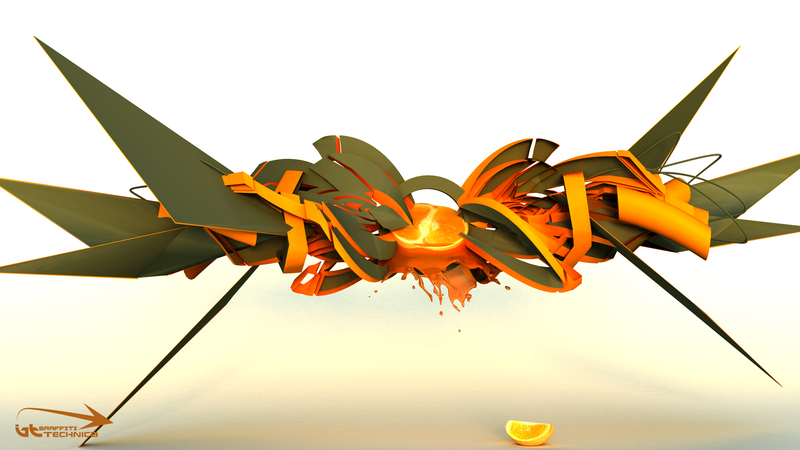 When creating this I started with the express intention of just trying to integrate half an orange into my fruit graffiti design (why not?). The challenge with that was that you have a circular object right in the middle of the design which tends to draw the eye straight to it so again you have to find a way to balance out the graffiti design. I used the green earthy color from the sticker on the orange itself, obviously it was taken from the leaves of the orange tree which was a good color choice.